Home > Comrades in struggle > Collectifs locaux contre l’aéroport > When Will They Really Stop Attacking the ZAD?! When Will They Really Stop Attacking the ZAD?! 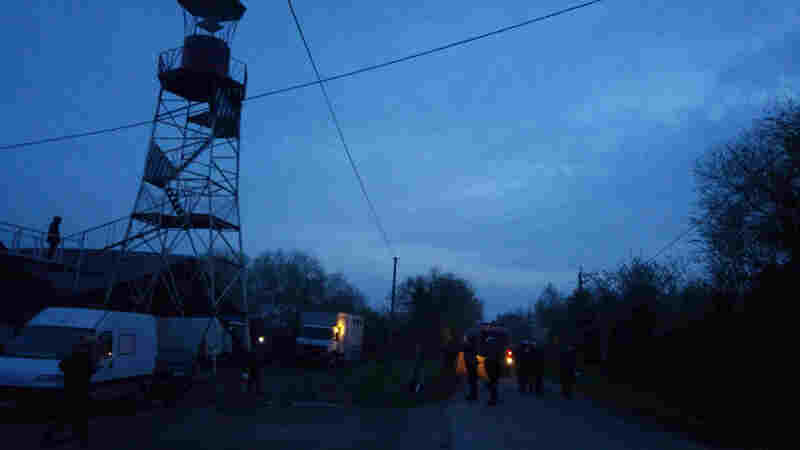 At least three people were arrested this morning during the massive deployment and forced entrance of gendarmes into several locales at the ZAD, again and further increasing tension. In parallel, the Prefect – this is not her first contradictory act or statement – had announced a halt to the military/police eviction operations in the ZAD after a week of destruction of homes and agricultural spaces. The inter-group assemblies that bring together ZAD residents and the various components of the movement will reflect and determine the appropriate responses to the current orders being issued by the Prefecture at the appropriate time. But what is certain at this moment is that we consider the brutal show of force this morning intolerable, as well as the manifest desire to take revenge on those who have defended the living spaces in the ZAD by making arrests. What we are sure of is that it will not be possible to reflect serenely on what is to happen next so long as the ZAD is targeted by this type of police action. And what we firmly believe, after the formidable wave of solidarity that rose this week, is that despite the destructions, the ZAD will find ways to continue to live and to resist. We maintain our call for our supporters to join us massively here on the ground at noon on Sunday. We also remind you of the demonstration against the expulsions and for the future of the ZAD tomorrow in Nantes at 4:30 p.m. beginning at the Place du Cirque. 15 April 2018 – When Will They Really Stop Attacking the ZAD?! 30 October 2013 – Press communiqué from the support comité from Paris agglomeration : the resistance continues !